Anyway, it’s all good in my humble opinion, and I’m a classic Innocenti man. 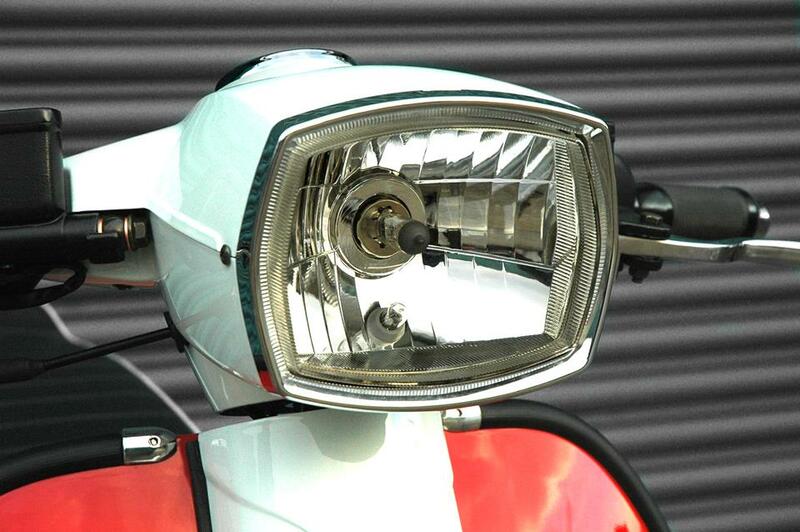 The Scomadi is a modern version of the Italian original, in the same way as a modern Vespa, and the modern Vespa clones (LML etc) encapsulate the spirit of older classic Vespas. 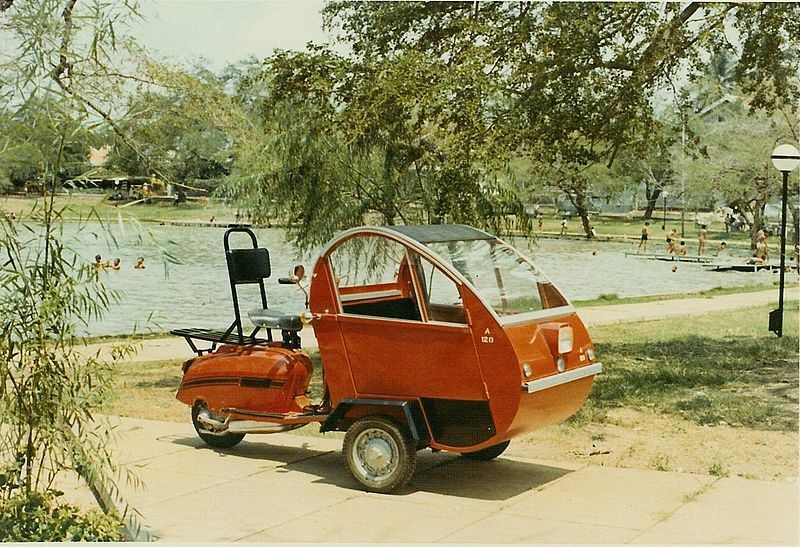 Alongside the LN, it can only be good for the whole Lambretta scene. 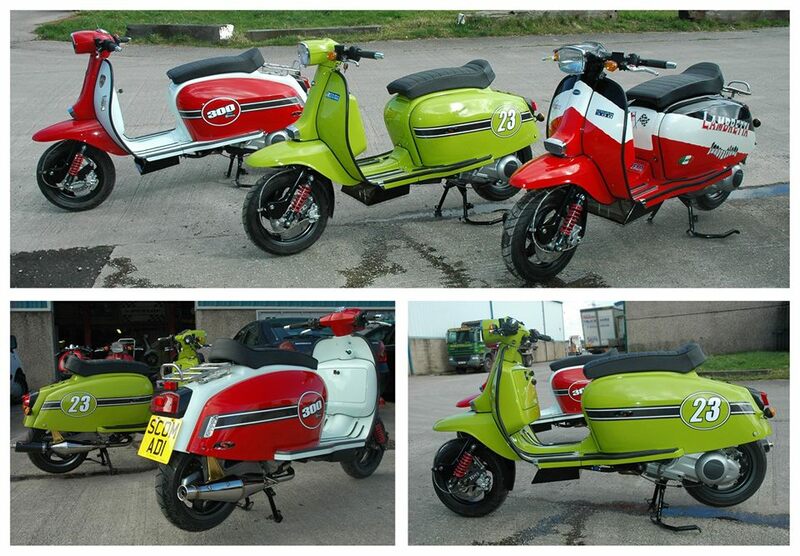 Scomadi pricing and delivery to finalised. Keep up to date on their website, or Facebook page. 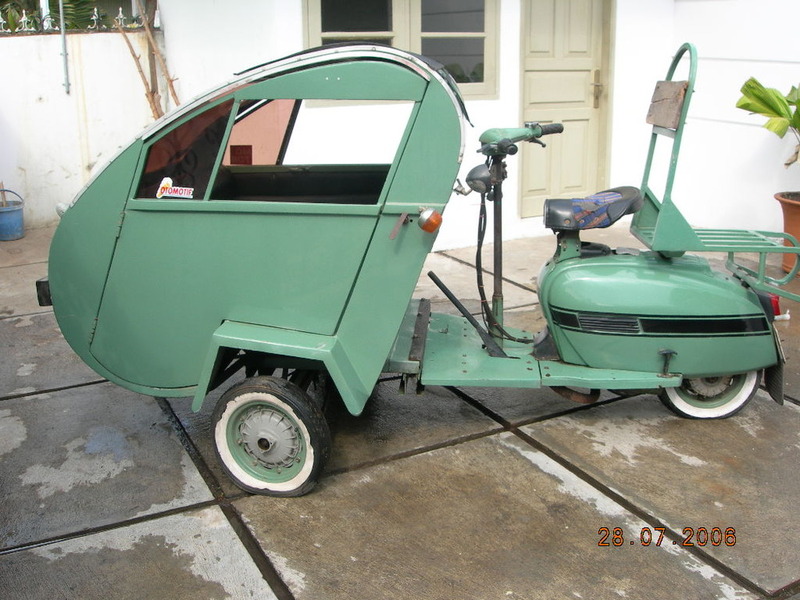 An unusual Lambretta/Rickshaw type contraption from Indonesia, these Helicaks (because they look like a Helicopter, presumably) are one of the odder Lambretta conversions I’ve seen. 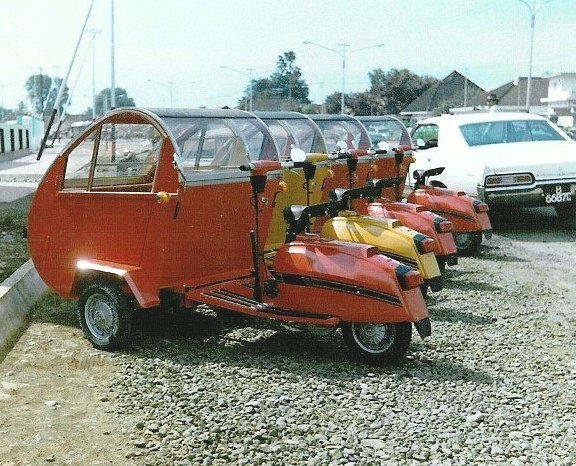 They were introduced in Jakarta in the early ’70s, but by the late ’80s were deemed unsafe, as in an impending accident, the drivers tended to abandon ship, leaving the passengers trapped in the fibreglass cab to take the brunt of the collision.